Coronado Island, which is not really an island but more of a peninsula is one of my favorite places to visit while in San Diego. 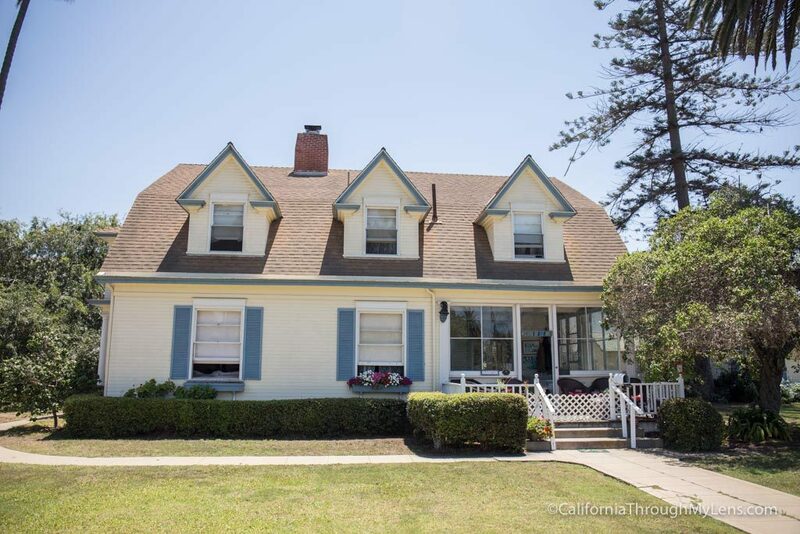 The island has a lot of charm with historic old buildings, fun restaurants, great beaches and beautiful views of the San Diego skyline, here are ten things you can do while there. Here is a video I made of all the stops, or you can read on to see them as well. 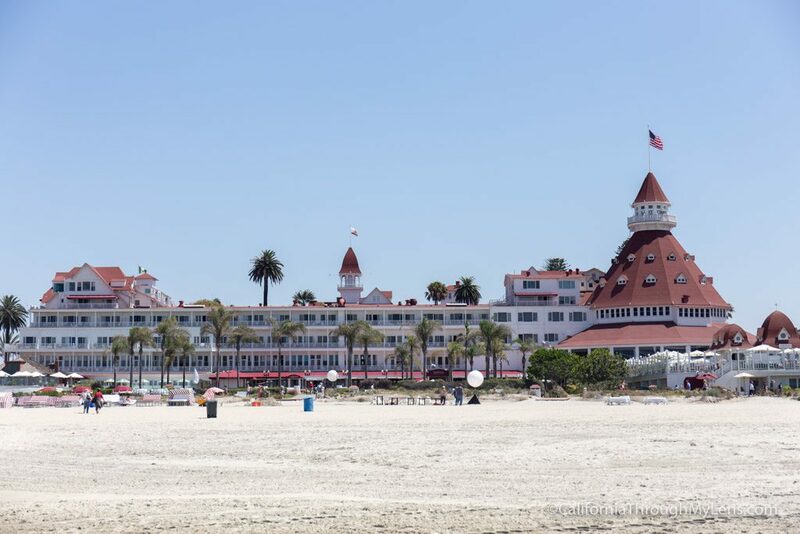 Hotel del Coronado is the most recognizable place on Coronado Island with its white and red exterior. It is actually the second largest wooden building in the United States and was said to be an inspiration for the emerald city in the Wizard of Oz. Now you can walk through the hotel, go shopping or even eat at one of the restaurants. It is especially fun to visit during Christmas when they have a tree in the lobby and an ice rink outside next to the sand. 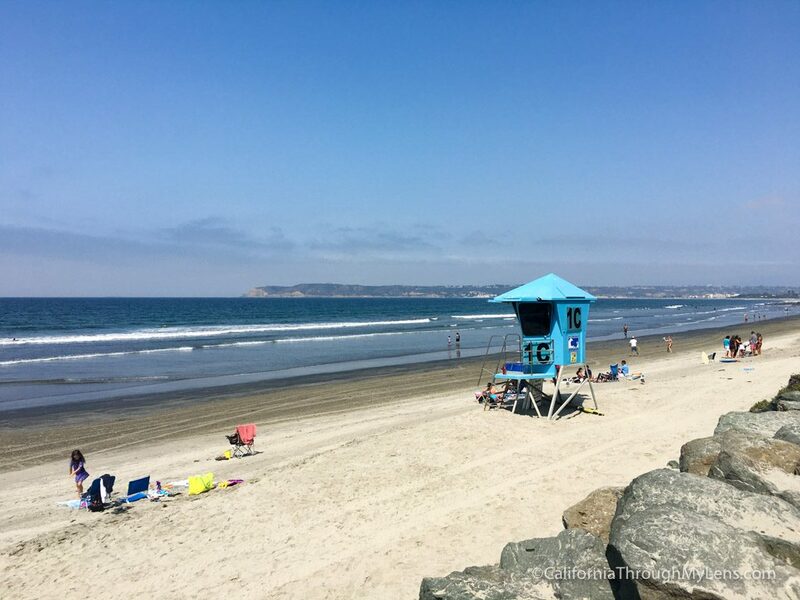 Coronado Beach is the beach right outside of the Hotel del Coronado. This vast stretch of sand is extremely popular during the summer but is beautiful year round. From here you can see over to Cabrillo National Monument and can often see military vehicles flying by and training over the ocean. Fun fact, the small dunes are said to spell out Coronado from the air, which you can see in Google Maps satellite view. 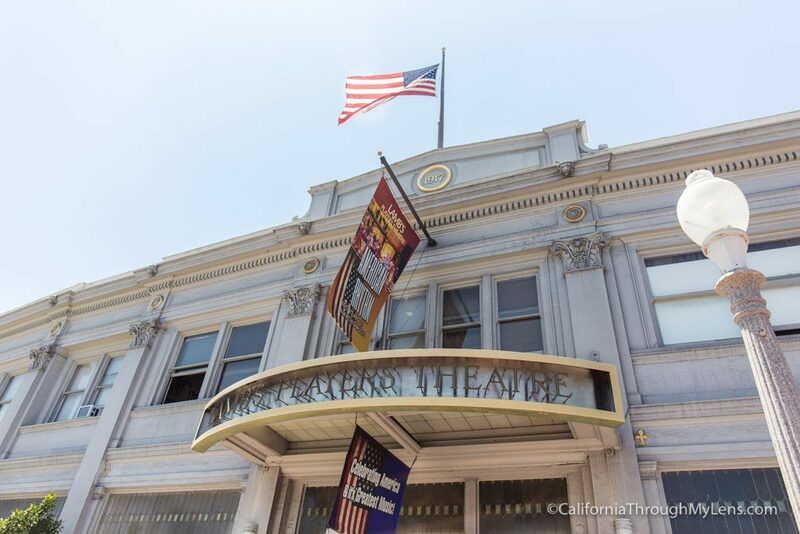 If you are a fan of the Wizard of Oz, then there are a couple of cool things to see in the city. Frank Baum who wrote the Wizard of Oz lived near Star Park, and you can see his house while there. It is a private residence so don’t get too close, but they have a Wizard of Oz sign. Also, you can go to the free museum in downtown and see three first editions of his famous books there as well. Plus Hotel del Coronado was supposedly an inspiration to the author as well. 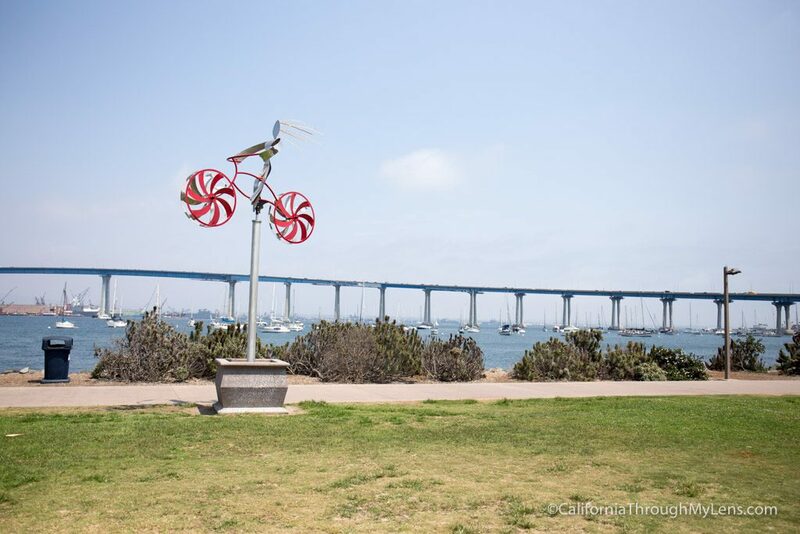 Coronado has a bike path that goes pretty much the entire way around the island, and it is one of my favorite things to do while there. The route is pretty easy to follow, and it has fantastic views of San Diego on one side and the beach on the other. You can even stop and grab food or a drink and make a half day out of the trip if you want as well. Tidelands is my favorite park on the island as it has amazing views of the bridge. The Coronado Bridge is a famous landmark in San Diego, and this is one of the best ways to see it up close. You can walk along the bike path and be right underneath the bridge if you want to take pictures of it. There is also a small beach here which is a popular spot to put in a kayak and kayak out on the water as well. Downtown Coronado on Orange Street is a fun area to stroll with shopping, food and historic things to see. The old bank building is a beautiful place from the early 1900s near the end of Orange Street, and the visitors center has a free museum that you can visit during the day as well. Plus you can stop in at my favorite place, MooTime Creamery, which is my next recommendation. 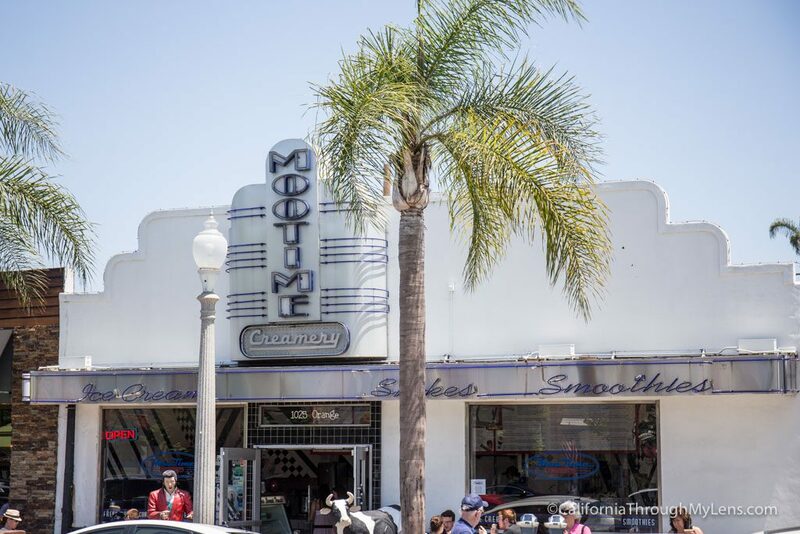 Moo Creamery has been a Coronado staple for years with excellent ice cream and fun statues of Elvis and a cow outside the restaurant. This isn’t just a tourist trap though; the ice cream is actually delicious here. My favorites are the black raspberry and the cake batter, plus you can get any flavor you want put in-between two chocolate chip cookies as well. 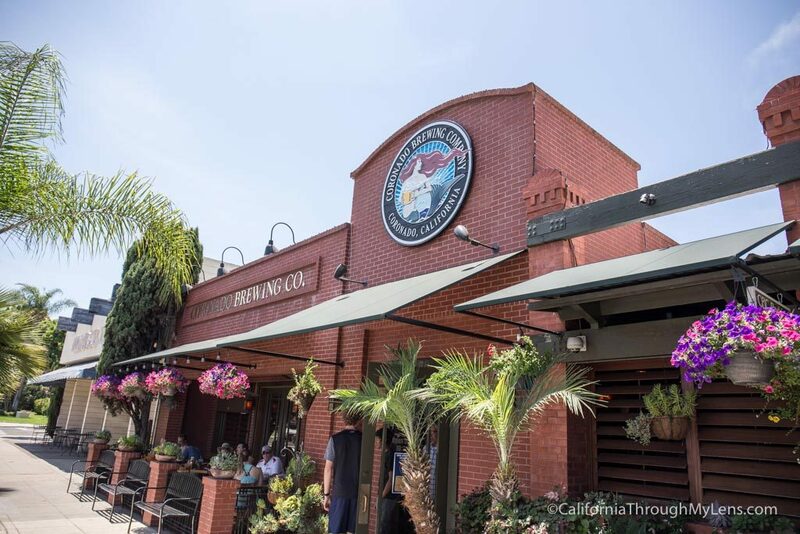 Coronado Brewing Company’s beer gets shipped all over California, but the brewery itself is located on the east side of Coronado. They have a large restaurant here as well, and the food is excellent and compliments the beer. My favorite things here are the fish tacos (grilled not fried) and the soft pretzel with cheese sauce and mustard. It’s hard for me to not get one of those two things. 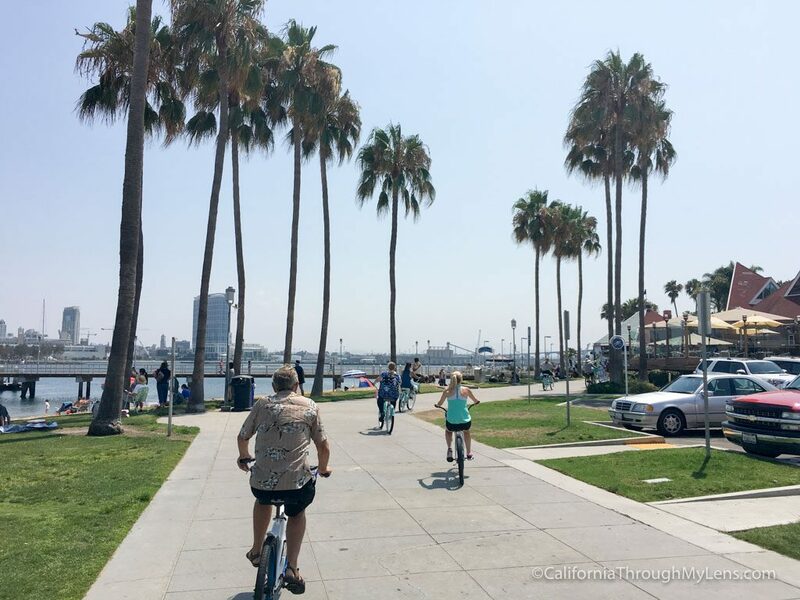 If you are staying in downtown San Diego, then don’t take an Uber, take the ferry over to Coronado. The ferry runs many times per day and only cost 5-15 bucks. 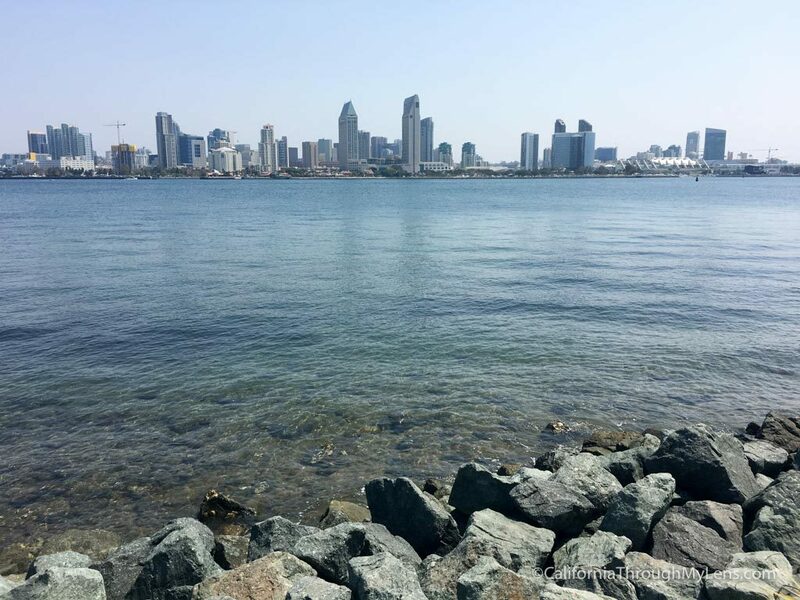 Even if you aren’t staying in downtown San Diego, taking the ferry is a lot of fun and gives you great views of the city, even if you simply take a round trip ride without getting off. If you are doing this, take the one that goes to Broadway Pier as it is a 15-minute ride instead of the 5-minute ride to the convention center. For my last recommendation, head over to Centennial Park, which has one of the best views on the island. 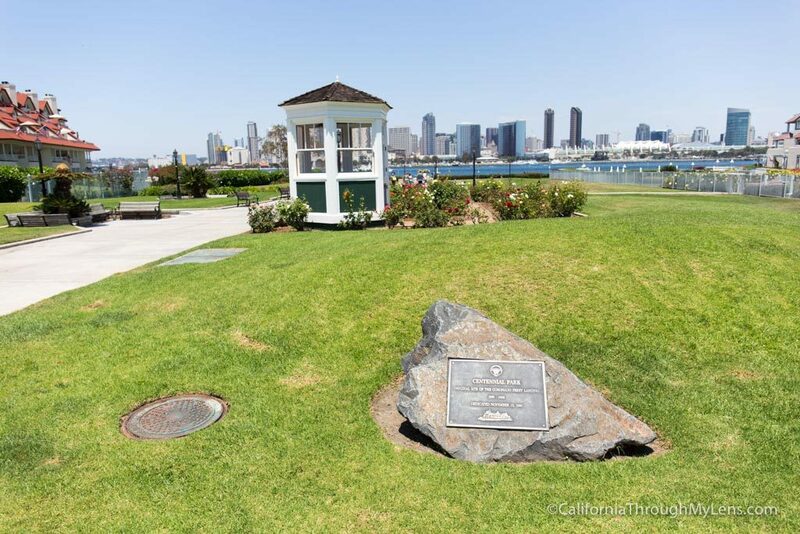 This park was the original ferry landing, and it has a historic structure and a few plaques to showcase that. Walking out to the overlook provides a fantastic view of the San Diego skyline though, and it can be a great stop at sunset with the light reflecting off the buildings. There are also a few small sand beaches here for children to play at, but not the ones you would lay out at all day or anything like that. Those are my favorite spots, let me know what I left off in the comments.